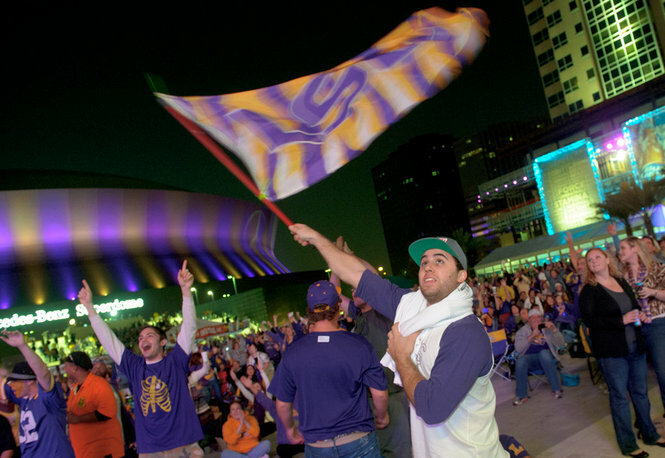 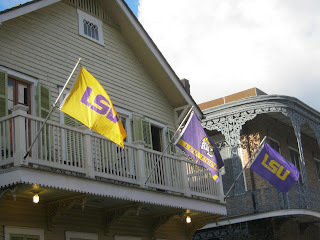 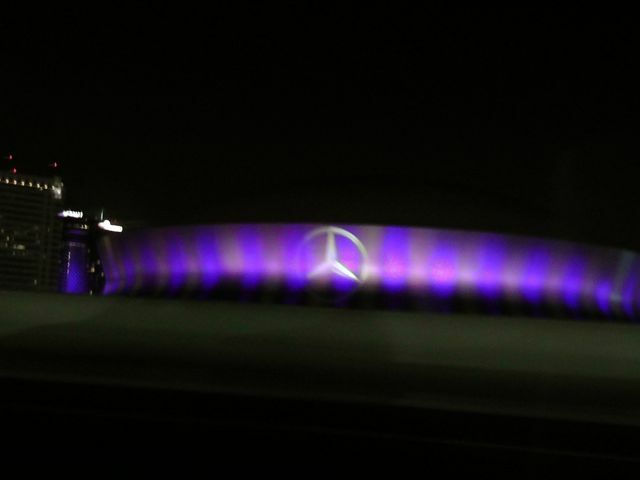 The energy of the city has been electric with the Saints in the playoffs and the LSU Tigers in the BCS National Championship. 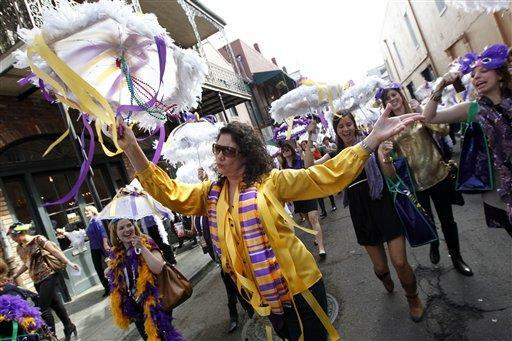 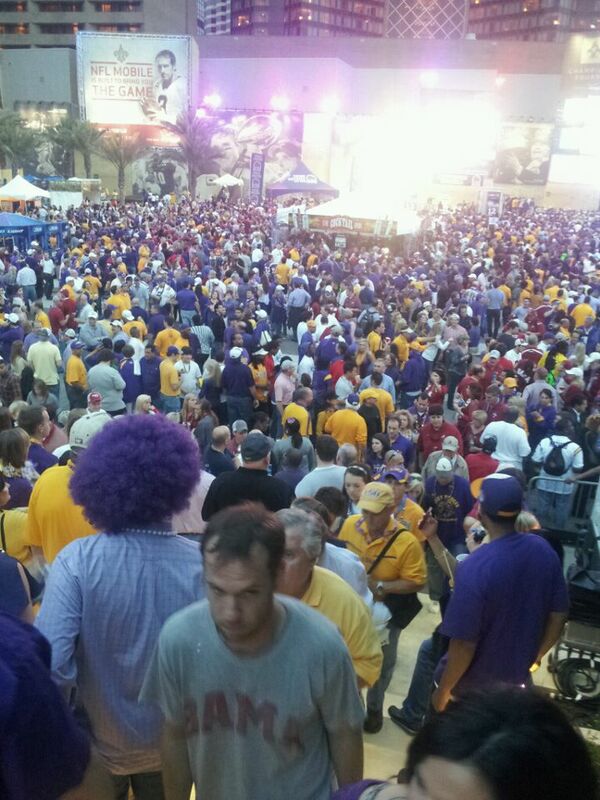 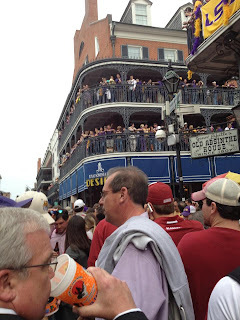 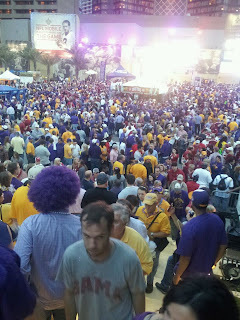 Yesterday and this past weekend, the city was awash in purple and gold. 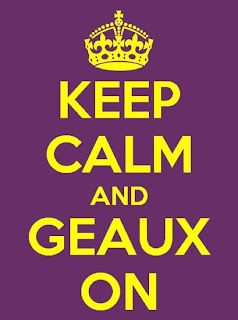 It is certainly an exciting time of the year. 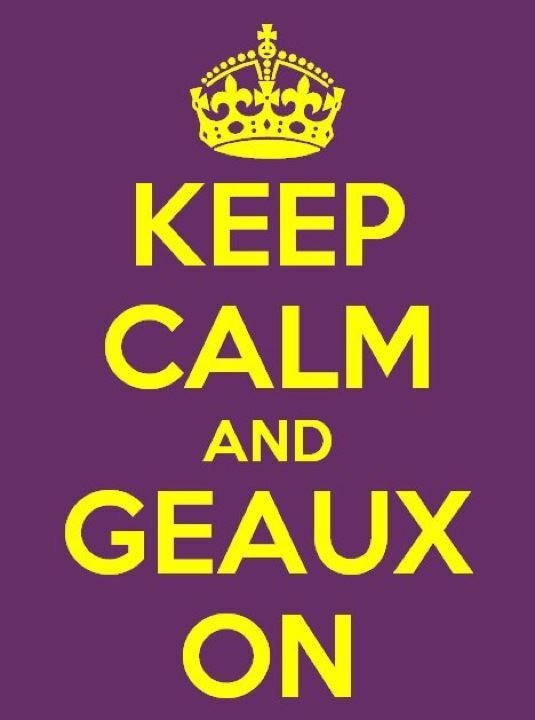 Purple & Gold Day at St. Paul's... 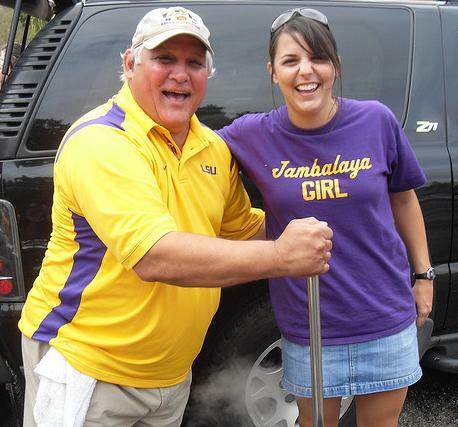 I guess my LSU shirt was not too original ! 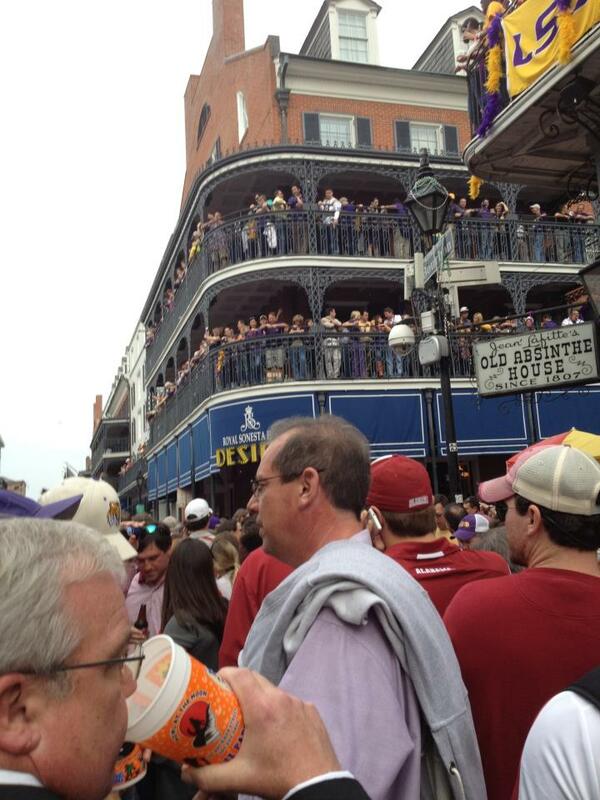 BFF RR's balcony on Bourbon St. 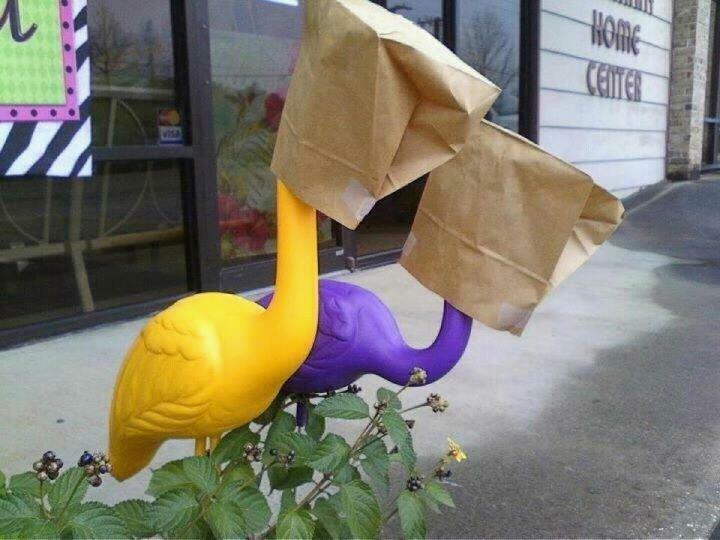 Though our Purple & Gold were not victorious, we still have our beloved Black & Gold to look forward to this Saturday. We still BELIEVE!